Apex Legends gains 25 million registered players in one week of launch, should PUBG developers be worried? Apex Legends, the online battle royale game that was announced a week ago, has hit over 25 million registered players and saw over 2 million concurrent users. 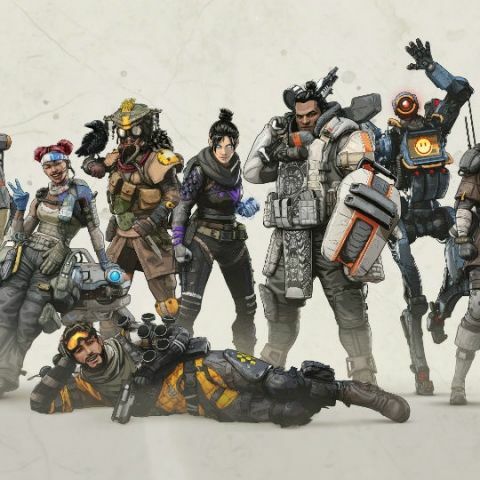 Apex Legends has over 25 million players. The Battle Royale game was announced a week ago. Apex Legends, the online free-to-play Battle Royale multiplayer game by Respawn Entertainment and EA, has hit 25 million registered players already. The announcement comes via Respawn’s CEO, Vince Zampella, who says that since the title was announced, 25 million players have registered for the game and over the last weekend, there were over 2 million concurrent players of the title. This is good growth for a new game that was introduced just a week ago, but considering the fact that it is only available on PC, these numbers are bound to stagnate at some point of time. “Since we launched Apex Legends last week on Monday we’ve seen the creation of an Apex Legends community that is excited, thriving, and full of great feedback and ideas. Our goal is to build this game with you, our community, so keep giving us your feedback because we really are listening,” Zampella states in a blog post. Season one of the game is slated to commence in March this year, where Battle Pass will be introduced to the title. New Legends, weapons, loot and more elements will be added to the game as well. Apex Legends: A viable PUBG replacement? In comparison to Apex Legends, Fortnite had 45 million registered players across PC and console after around four months of its availability. Since then, it touched rankings of 200 million players back in November 2018 but this was because the game devs decided to expand its reach by launching it on Android and iOS. Playerunknown's Battlegrounds is also available on all platforms, but it seems like its mobile version is doing rather well. Tencent, the creators of the title’s mobile version reported that the game garnered 20 million concurrent users with over 100 million downloads, back in August last year. Since the creators of Apex Legends are said to not have any plans of launching the title for mobile platforms, it is bound to stop showing addition in player count and number of concurrent players. Additionally, Fortnite has cross-progression and cross-platform support as well, which, The Verge reports, won’t be coming anytime soon to the title. Best smartphone in 20-25 k? Anybody know when Nokia Lumia 730 will be launch in India ?